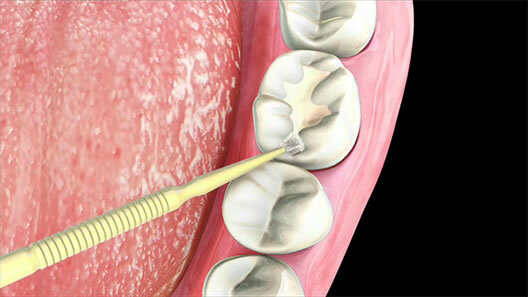 During the first part of your check up we will look to see if sealants will be helpful to you. Sealants are protection for your teeth. Sealant is made from a plastic like material and is painted on the chewing surfaces of your teeth to protect them from cavities. If your dentist decides that sealants would help protect your teeth they will either decide to place the sealant on the first visit or schedule a follow up. You’ve probably seen others wearing a mouth guard during a game of football, basketball or hockey. If you play sports or if you’re just worried about injuring or knocking out your teeth, you can ask your dentist about a custom made mouth guard. A mouth guard will protect your teeth, lips, gums and cheeks from injury. A mouth guard is simple to make and it can be the difference between keeping your smile and repairing or replacing a broken tooth.